Nayana Mawilmada (MBA 2005) is seeing things. 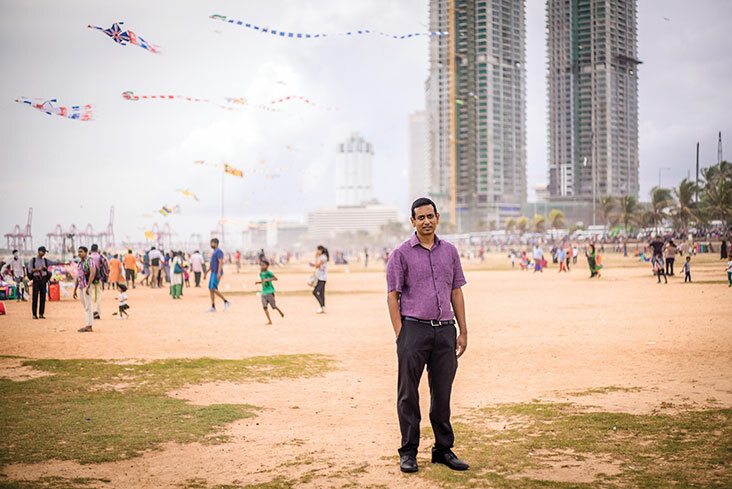 Standing at the edge of Beira Lake, an algae-choked body of water in the heart of Sri Lanka’s capital, Colombo, he envisions people and restaurants—like New York’s South Street Seaport, he says, or Singapore’s Clarke Quay. “This waterfront is state-owned land that will be released for development, and the light rail will come in on the other side of those trees.” He turns and points in the heat of an April afternoon, taking in the city as it is now, orienting his vision from every direction. There’s the World Trade Center, where we’ve walked from Mawilmada’s office in Colombo Fort, the city’s central business district. A somewhat hazardous stroll along broken sidewalks, ducking in and out of traffic, took us past the presidential palace, majestic colonial-era buildings, and, further on, Pettah Market, a crammed warren of alleyways selling everything from mangoes to light bulbs to plastic flowers. Just across the road is Fort Railway Station, a major transportation hub used by over 200,000 people every day. For now, this spot at the water’s edge is no more than an ad hoc parking lot, spotted with broken glass and weeds. “I come here and just kind of look at all this,” says Mawilmada. “I like to imagine what it might be when I’m an old man.” His tone is a bit dreamy, but there’s an underlying current of urgency as well. As head of investments for Sri Lanka’s Western Region Megapolis Planning Project, Mawilmada has a key role in planning and implementation for a 15-year, $40 billion initiative with the goal of creating sustainable development and economic revitalization for Colombo and its surrounding provinces, population 5.8 million. It’s why he has returned to a country he left over two decades ago in the midst of a crippling civil conflict: Sri Lanka is at a pivotal moment in its history, he says, a moment that represents a once-in-a-lifetime opportunity to do no less than help shape his country’s future. As a teenager growing up in Kandy, Sri Lanka’s second-largest city, Mawilmada was sometimes teased for being a dreamer. He remade his mother’s broken washing machine into a chair. He loved to work with wood, shaping a table out of raw planks. Transforming the things around him was an outlet, a way to make his vision a reality. 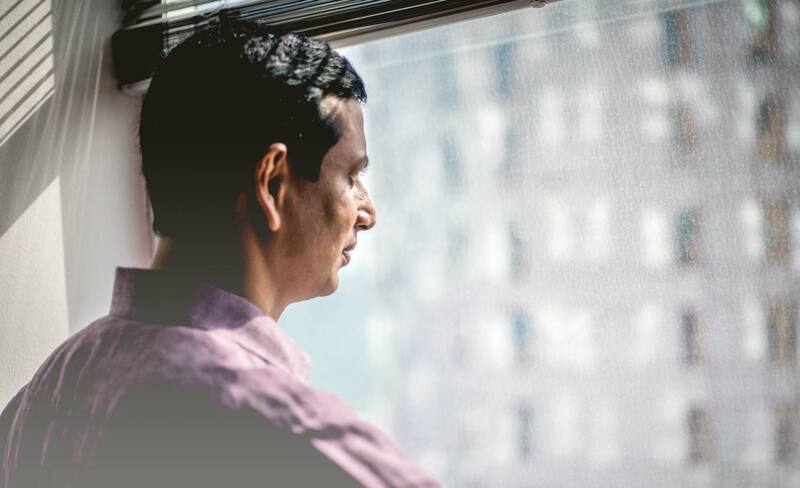 Studying architecture was a natural next step to shape the world around him, even if it wasn’t a well-worn career path for his cohort at Trinity College, one of Sri Lanka’s most prestigious private high schools. It wasn’t a traditional high school experience, however; between the ages of 16 and 18, Mawilmada guesses he attended school for all of six months, studying at home for weeks at a time to avoid the unfolding civil conflict. Clashes between Sri Lanka’s Sinhalese majority and Tamil minority ran from 1983 to 2009, closing down areas of the country for extended periods of time and costing an estimated 100,000 lives. By the time he finished high school in 1990, Mawilmada was ready to leave the fighting, and Sri Lanka, behind. After putting his degree to work at Walt Disney Imagineering and Boston’s Sasaki Associates, however, Mawilmada was restless. It’s probably his grandfather’s fault. A member of the municipal council in Kandy, Loku Banda Mawilmada was responsible for a number of local improvements, including a school, a local library, and new roads. He was also, later in his life, Mawilmada’s roommate. “As a kid, I’d get a steady dose of, ‘You need to start thinking beyond yourself. There’s so much you can do in terms of impacting society.’ As a result, I actually did grow up thinking that, and felt it was my responsibility to do something about it. “After a while,” he continues, “I was frustrated by the scope of architecture’s influence; it was only about me, my client, and what they wanted to create.” In 1998 he shifted to a broader canvas and enrolled in MIT’s Master in City Planning program. In the summer between his first and second years, as part of a joint initiative between MIT and the World Bank, he was sent to the Philippines to work with an informal settlement whose 12,000 residents were to be displaced for a resort. “It was a huge aha moment for me,” Mawilmada recalls. “This time, I found myself on the other side of the table, representing the folks who lived there. I spent a couple of months immersed in that community, with our mandate being to figure out how to move them. “We started investigating what their right was to be there in the first place,” he says. “Most had been paying taxes and utility bills for 30, 40, 50 years. Then we discovered that the mayor’s beach house was there on exactly the same basis.” At that point it was time to return to MIT, but Mawilmada believes the government eventually granted an upgrade to the settlement. Mawilmada on Galle Face Green, a 12-acre park running between the Indian Ocean and downtown Colombo. In the background: One Galle Face, a mixed-use hotel, office, retail, and residential project in development. As far afield and varied as those experiences were, each one brought Mawilmada a step closer to coming home. The war had just ended when he returned to Sri Lanka in late 2009 to continue his work as a consultant for the Asian Development Bank. And now, eight years later, Mawilmada says the country is ready to move on, for the most part. But lingering issues and resentments are the impetus for a current effort to rewrite the country’s constitution to avoid a repeat of the past. That constitutional reform is an undertaking of President Maithripala Sirisena, who came to power in a shocking 2015 election when the 10-year incumbent, Mahinda Rajapaksa, called an early election at the urging of an astrologer who foretold the timing as auspicious. The contest was widely seen as a referendum on governing style. While the more autocratic Rajapaksa ended the war, he did so with intense and indiscriminate air, sea, and ground assaults, resulting in an international outcry over human rights violations; some estimates put the number of Tamil civilian casualties at 40,000 in the conflict’s final months. Defecting from his position as Rajapaksa’s minister of health, Sirisena’s unexpected win signaled a miraculously peaceful transition to a more democratic, just future. A coalition government formed, with Ranil Wickremesinghe, a pro-business advocate from the opposing party, as prime minister. Years earlier, Embuldeniya and Mawilmada bonded at HBS over their Sri Lankan roots, a tie further strengthened by the December 2004 tsunami that struck the country and a fundraising effort they led at the School to aid relief efforts. After HBS, Embuldeniya spent six years working at McKinsey’s Dubai office; in 2010, he began to consider coming back to Sri Lanka. Colombo’s Diyawanna Lake incorporates some of what Mawilmada expects to see in the more environmentally sensitive areas of the city—recreational spaces that celebrate the wetlands and wildlife that make the city unique. The megapolis is a creature as ambitious as its name. The 257-page master plan encompasses housing, water, transportation, and environmental priorities. Aside from downtown Colombo, the plan proposes a business park adjacent to the airport as well as a ring of clustered mini cities around the capital, each with a different focus: agriculture, industry, tourism, science and technology, and logistics. Of all the project’s phases, however, transportation is the issue that really gets Mawilmada going, the one that, in his mind, will be a complete game changer. It’s something he’s spent countless hours on, sitting in meetings, speaking in public forums, and slowly—ever so slowly—moving the ball down the field. A central pillar of the megapolis plan, it is likely to be among the first to see completion. For starters, the first 25 kilometers of a new light rail line will shrink a painfully slow commute from suburban Colombo to its business district from 90 to 20 minutes. Mawilmada helped secure a $1.25 billion investment for the line from the Japan International Cooperation Agency, with two other 25-kilometer corridors prepped for public-private partnership funding. Buses are another piece of the puzzle, with the current system made up of thousands of private operators, in addition to government-run vehicles. The result: an unregulated, competitive chaos on roads already choked with cars, motorcycles, and three-wheeled tuk tuks. If all goes to plan, bus service will be consolidated on clean, air-conditioned, GPS-equipped vehicles, all feeding into the existing railway and new light rail network. Finally, the Asian Development Bank has agreed to a $650 million loan to cover capital costs for electrification of an initial 110-kilometer railway line running through Colombo from the northeast to the city’s south, with additional line and equipment upgrades to come. Some days, the time required to create real change wears on Mawilmada. Yet there’s no surprise in the fact that government work comes with the built-in frustrations of politics and, all too often, inefficiency and bureaucracy. It’s a fact Mawilmada will reference obliquely but not dwell on, as doing so does no good. Mawilmada is the first to point out that he is not the decision maker. It’s not possible to simply rubber stamp his vision for the city. But he has found the flexibility to insert himself in multiple committees focused on his chief concerns. Yes, as head of investments, he does speak to investors and tries to steer them in the right direction. But he also sits on a committee in the midst of crafting a national housing policy. And he’s part of a planning group for the city of Kandy, which, in addition to being Mawilmada’s hometown, is a sacred and heavily visited UNESCO World Heritage site plagued by pollution and outdated urban planning. It’s not glamorous. And it’s not fast. By most estimates, groundbreaking for the light rail won’t take place until late 2019 or even early 2020. But it will happen. Development in Colombo’s historic Fort district, the city’s commercial and financial center, includes new construction as well as refurbished buildings from the Victorian era. Mawilmada and others of his generation who have begun returning to Sri Lanka still have distinct and often disturbing memories of the country’s civil conflict. 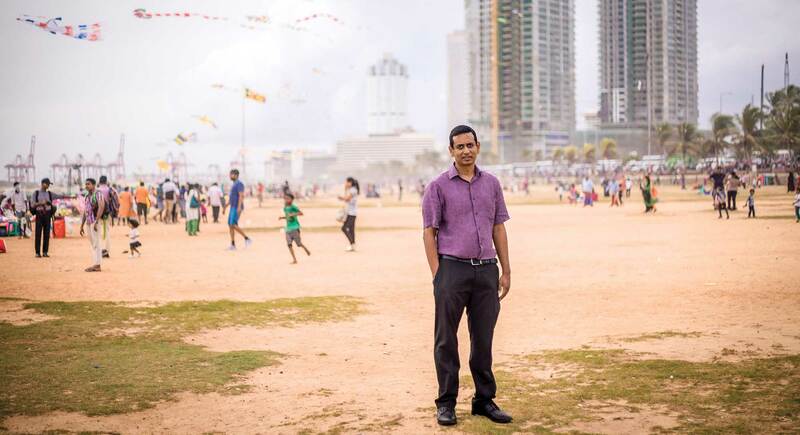 Dumith Fernando (MBA 2000) was 10 years old when some of the first riots took place in Colombo in 1984. He remembers mobs on his street, some with water registration lists they were using to target homes with Tamil names. An uncle involved in politics was shot dead. “The country sort of came to a standstill,” he says. Fernando returned to Sri Lanka several years ago, leaving a secure position as managing director and group COO at Credit Suisse in Hong Kong to purchase Asia Securities, an independent securities brokerage and advisory firm that he hopes to build into, in his words, “the Goldman Sachs of Sri Lanka.” Taking a broad view of the country’s assets, Fernando highlights areas that keep popping up in discussions of Sri Lanka’s economic prospects. Its location just off a major shipping lane between Dubai and Singapore, he notes, makes its deep water ports extremely attractive—and the fact that it maintains good diplomatic relations across the Indian Ocean region doesn’t hurt either. Analysts have noted Sri Lanka’s potential as a highly strategic link for China in what many see as a maritime Silk Road for the 21st century; it also has easy access to both coasts of India, with transshipment to India accounting for about two-thirds of its volume. Just over 2 million tourists visited in 2016, a 300 percent increase since the end of the conflict in 2009; by 2020, the government expects that number to double, adding $10 billion to the economy. And foreign investment—particularly from China—is evident everywhere, the most striking and immediate example being a swarm of earthmoving equipment filling in land off the coast of downtown Colombo. 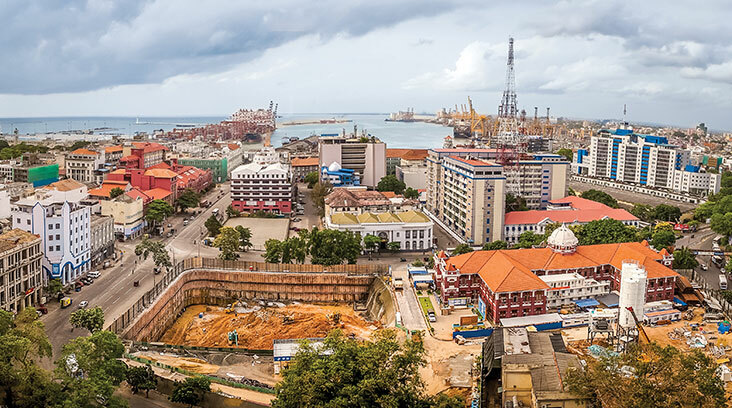 Over the next 15 years, an independent, Chinese-funded “port city” will rise here, featuring office space, housing, and retail—essentially, an independent, international financial center with a direct link to Colombo’s central business district. In July, after much soul-searching, Mawilmada does make a move, becoming sector head of property development at John Keells Holdings, Sri Lanka’s largest conglomerate with 70 companies across the real estate, food and beverage, financial services, transportation, and leisure sectors. With the infrastructure pieces he’s worked on under way, Mawilmada is turning back to the private sector to execute on his vision from a different angle. He’s frank about the financial aspect of the decision—with three children, a government salary wasn’t sustainable over the long term—but he doesn’t rule out a return to government, and is equally upfront when discussing how his new job fits into the Sri Lankan future he speaks of with such passion. “John Keells is probably the only company based in Sri Lanka that has the scale and commitment to create systemic change,” he says, noting that housing will be one area of focus. In October and November, he’ll be exploring that topic further as a participant in the Eisenhower Fellowships’ prestigious Middle East/South Asia leadership development program.